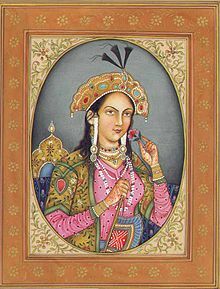 Mumtaz Mahal (1 September 1593 – 17 Juin 1631) (Persian, Urdu: ممتاز محل‬‎ [mumˈt̪aːz mɛˈɦɛl]; meanin "the chosen ane o the palace") wis a Mughal Empress an chief consort o emperor Shah Jahan. The Taj Mahal in Agra wis constructit bi her husband as her final restin place. This page wis last eeditit on 17 Juin 2018, at 11:48.